Here in Texas, we don't have that many seasons, but it will officially be winter on December 21st, hence, it is still fall season. I absolutely love the fall, not only do you get to layer on the fashions, but you can layer on the hair. Time to pull out those protective units, which are really yearly hairstyles, but for the most comfortability, I tend to do protective units within the cooler months. Within south Texas, we have the seasons of hot, hotter and it may get cooler during the months that are considered winter and then starting March, back to hot and hotter. However, that is not what this post is about. I have purchased some hair for review. I created a unit from three bundles and a frontal of Peruvian Body Wave from Ali Hair Factory Outlet stores. The bundles were 20", 18", 16" and a 14" frontal. The hair was on a serious discount, so I decided not the color the hair. I have been wearing the hair for two months, and I must say I wasn't very impressed with this hair. 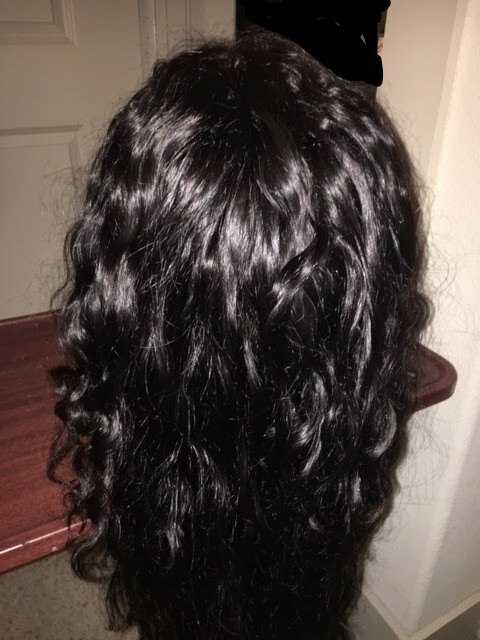 I know the saying you get what you pay for, but if you are offering a sale and the hair will go back to regular price within a few weeks, then why would I return back to your store to pay full price, if I believe you will be selling the same quality of hair. Just a question to think about when marketing sales to bring in customers. The hair did come in very basic packaging with labels for the hair's inches and there luckily was no smell in the packaging. The hair came with a net and eyelashes, so Kudos on the trinkets. The hair bundles were very full and for those that like the thicker wefts, these were very thick. I did forget to take a picture of the frontal before I bleached the knots, however, the frontal was huge. It wasn't too full, but the hair was very soft and manageable. The minimal baby hairs were very long, as pictured below, but I did like the shape of the hairline on the frontal. 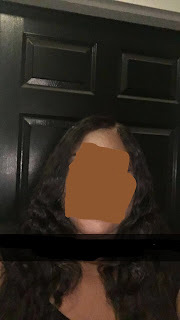 As you can see in the pictures, the frontal is large, and the unfortunate part is it wasn't the same texture as the hair because after the frontal was washed, it became very wavy, (which was bought as a body wave), but the bundles did not wave the same way. I liked that texture of the frontal hair. The frontal covered too much of the unit and I wasn't experienced enough to cut the frontal, but I would definitely recommend customizing the frontal for proper placement on your unit. 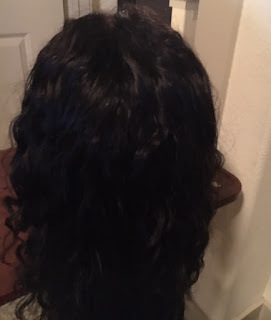 I deep conditioned all of the bundles and allowed all of the hair to air dry before install. As you can see from the pictures, the closure was very wavy, but the bundles weren't as wavy. The bundles actually was pretty straight (first picture below on the top left). 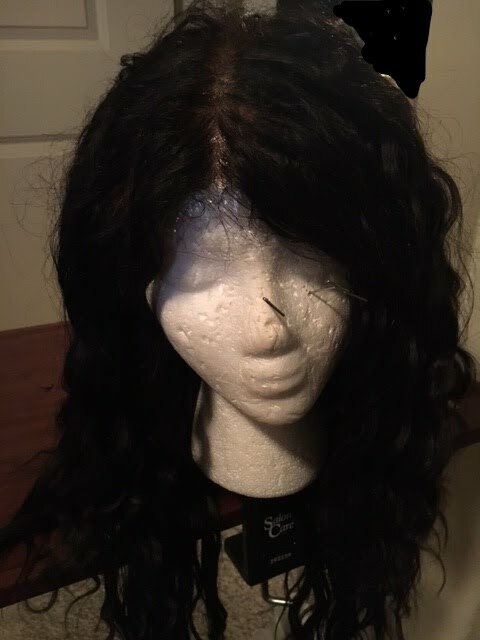 There was very little wave to the bundles and I had to manipulate the hair with braids and wet gel, to get a body wave look at the bottom. -During the wash and detangling process, the hair in the frontal came out in the front in patches ( I was still able to cover it with side parts, but I won't be pulling it up in a ponytail. 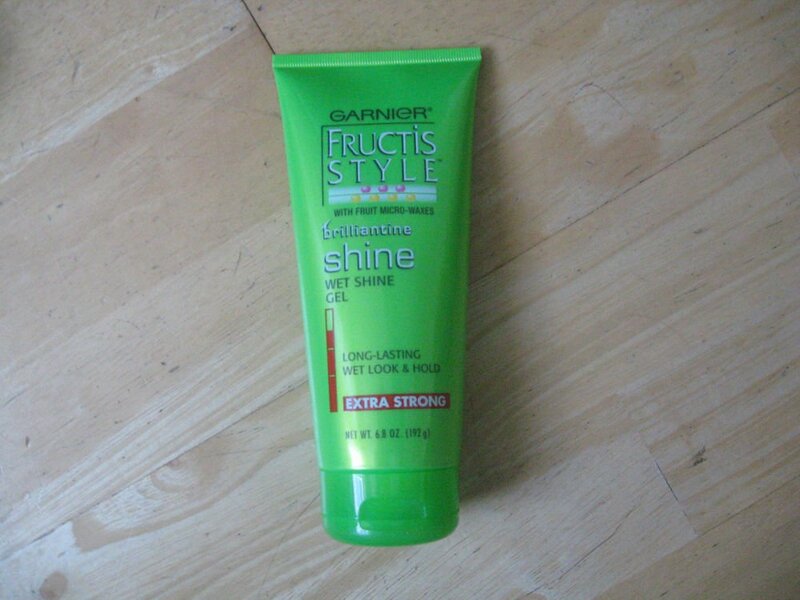 -While co-washing the hair when I first got it, there was a processing smell, even after deep conditioning. I was not impressed with this hair. I have paid less for hair and it has been a better quality than this hair. However, below are just a few more shots of the hair. I have also left a link to the seller as they actually have a good rating on Aliexpress. 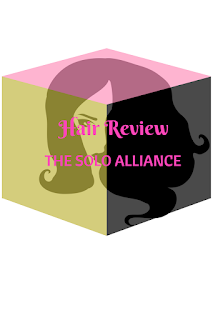 I may have received a bad batch of hair, or the company goes back to the reviewers to request higher ratings. 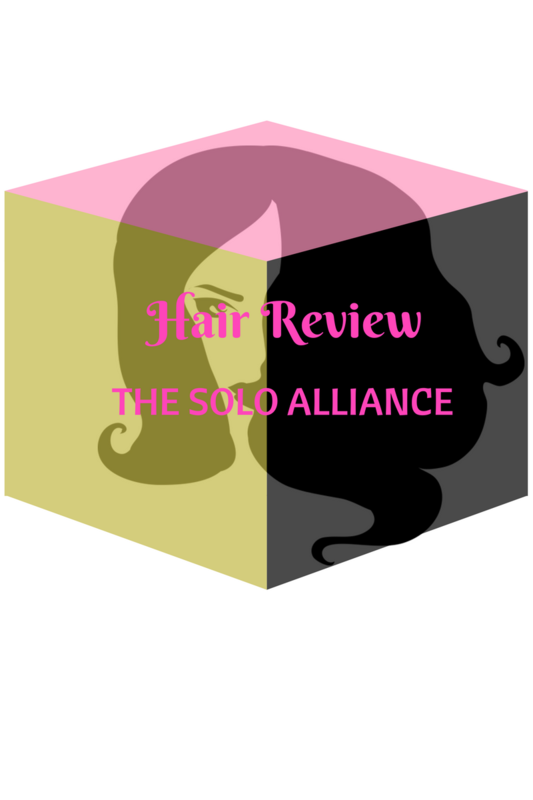 I did rate the hair and did not receive an email requesting a higher rating, so I will count out the second part. It may have been the batch of hair I received; however, I can't recommend this hair to others. I am not ready yet to show my actual face on the blog, remember we talked earlier about that being work in progress. It is actually on my vision board for next year.